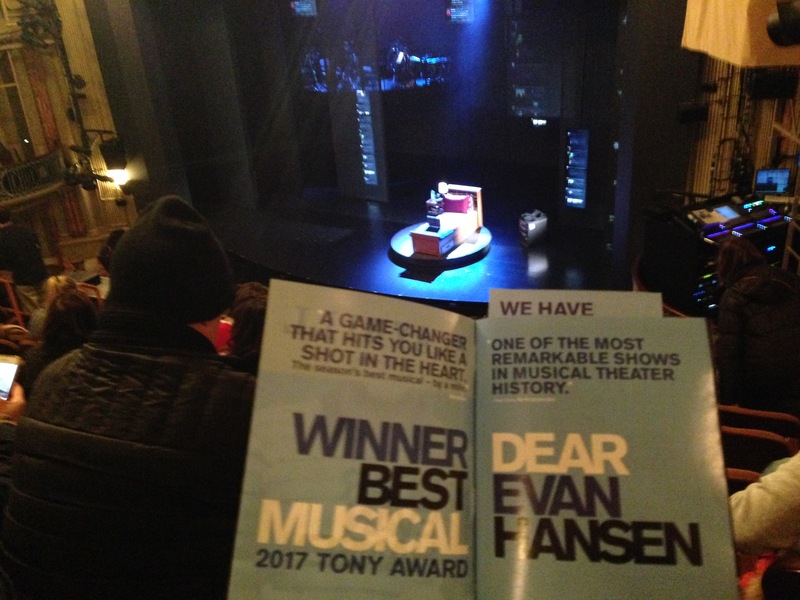 Recently, the school received a donation of 50 tickets to the Broadway show, Dear Evan Hansen. Dear Evan Hansen is a musical about a teenage boy, Evan Hansen, who has social anxiety. In order to cope with it, his therapist suggests that he write a letter to himself every morning: “Dear Evan Hansen, today is gonna be a go od day and here’s why..”. When he prints his letter, another misfit teen, Connor, finds it and takes it. Later, Connor commits suicide, and Evan’s letter is found in his pocket. It is mistaken for Connor’s suicide note. Evan then makes up an entirely false story about how the two boys were friends. It turns into a massive fundraiser and memorial page on the internet. Evan is more popular than he’s ever been and finally finds a sense of belonging, but at what cost? Husky leaders were invited to attend, and a writing contest was held to determine which other students could go. 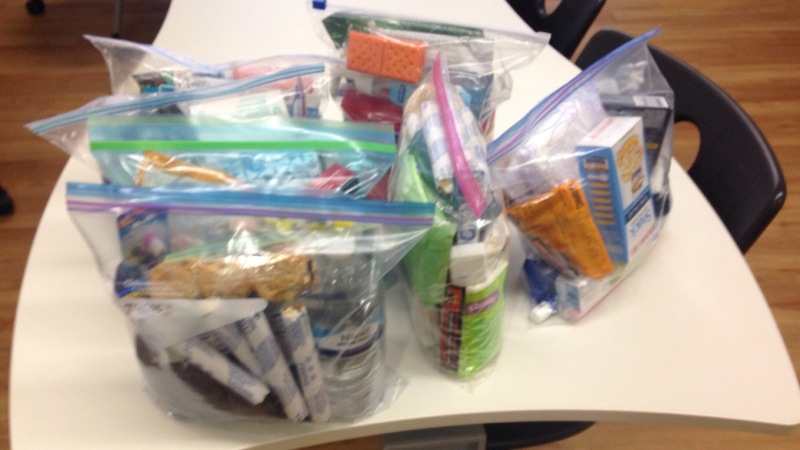 Selected students paid $10 and donated something for the kindness bags for the homeless in New York. I was one of the students selected to go on this trip. After a three-hour bus ride to Times Square, the students and chaperones enjoyed lunch at Carmine’s, a family-style Italian restaurant where they were served bread, salad, two kinds of pasta, chicken parmesan, and cheesecake. The story, acting, and music were all amazing, and the musical deserves every award it got and more. Several students said they were brought to tears multiple times during the musical. Mrs. Hagness, going into the experience not knowing what it was about, said it was “emotional” and “close to home.” Emma Lehn agreed, she “really loved it because some of the songs hit especially close to home.” Some of the Husky Leaders thought that the plot related to mostly kindness and how one action or event could change something in a person. This is partially true, but many were surprised at how sad the show was. It isn’t a happy story; it’s incredibly bittersweet. There are happy parts, but overall it has rather depressing themes. The musical’s theme is more about finding your place in the world, social media, and how you cannot move forward until you acknowledge your past and learn from it. The main character, Evan, spends the entire first part of the musical, not only lying to others, but to himself as well. There are many powerful scenes that addressed serious issues, and every character seems to represent some form of hurting or vices. Evan has anxiety; Connor has depression and anger issues; Jared is insecure; Alana is lonely; Evan’s mom Heidi is overworking herself; Zoe is frustrated and disappointed, and her parents are unhappy and dissatisfied with their lives. The play also shows how social media and the internet can affect these feelings, making them better or worse. The story captures how no one deserves to be left behind and forgotten, and even if a person feels as if there’s no one out there, someone is out there. This ideal is slightly forgotten towards the end when people start to threaten the Murphys’ online because of what happened to their son. In trying to find himself and others, Evan leaves his mother and partial friends behind. Even though it might not have been entirely about kindness, it was still an awesome musical and experience.